This year’s Iberian Master’s competition proved a great International success yet again with some of Western Europe’s finest anglers in attendance. In fact, it’s here where many of them start their competitive season. 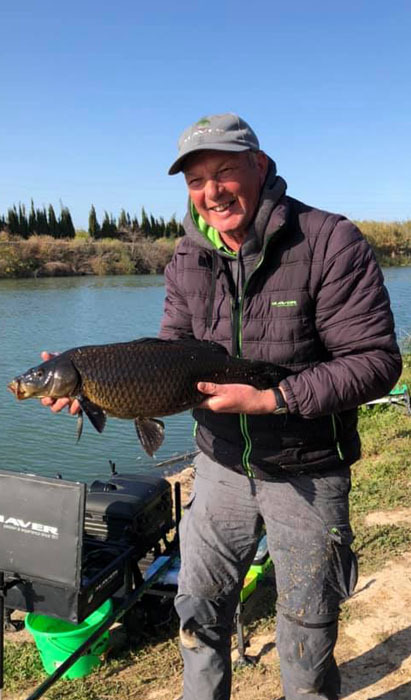 The event takes place just south of the regions capital Valencia is the small town of Fortaleny on the banks of the River Júcar where weights of over thirty (30) kilos are not uncommon! Each year the event becomes stronger consolidating its position as one of the ‘must-attend’ and important matches on the International circuit. Although naturally dominated by Spanish and Portuguese anglers, there are quite often numerous high profile anglers from France, Italy and Hungary. There was also a strong representation from England on this year’s event with the likes of Jamie Harrison, Will Freeman, Phil Ringer and, of course, our own Tommy Pickering. Below, Tommy looks back on another top ten finish, which saw a slight improvement on last year’s seventh place. “The first day of the 2019 Iberian Masters placed me on peg 6 in E section and really didn’t fancy it. Sections are traditionally dominated by end pegs but, like anywhere, fish move and it’s all on the day“. “The plan of attached centred around a sticky maggot feeder with maggots on the hook over to the far side near to the stones, which was approximately 45m as well as a 12m line for late on in the day“. “I was next to ‘the German’ Marcus with Jamie Harrison the other side of me so was in good company. We all got off to a good start with Marcus scoring first cast with me managing to pick up fish on both my second and third casts. I was flying until the fish disappeared for two hours during the middle of the match before returning with half an hour to go. I managed to find another three (3) fish from the far side to end the day with nine (9) carp for a final weight of 17.933kg, which was enough to win the section“. “So, a great start! Most of the fish were in the middle of the section which just goes to show, contrary to what many, including myself believe, it’s not always end pegs that produce the goods“. 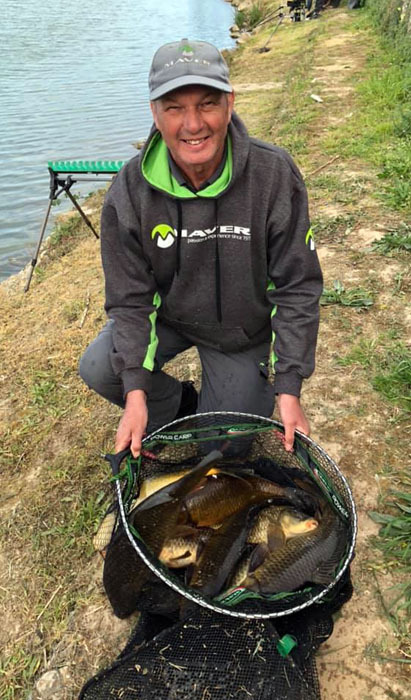 “Second day of the fabulous Iberian Masters saw me in B section on peg 4“. “This is an average section at best but, after a great start yesterday, I was optimistic I could get a few out! The plan of attack was, once again, sticky maggots across at 37m and a little shorter at 12m“. “After an hour and a half I had my next fish of around 6-7lbs and was back in it. I continued to feed my inside line and with ninety (90) minutes to go, I decided to go short. I managed to connect with a decent fish, but lost it in a snag. I persevered and managed another four (4) fish short to bring my tally for the day to six (6) carp“. “Upon the scales making their way around, I weighed in 14.180kg for second in section, beaten by Jose Sanchis by a kilo“. “Considering how I felt going into the second day and drawing a pretty nondescript area, I was relatively happy with the end result. It was all still to play for going into the final day. However, the weather was forecast to change with rain coming in to put a dampener on things“! “Unfortunately for me, the third and final day of the event didn’t go as planned! I needed a good draw and, to be fair, I managed one in C3 and, with C1 not going to his peg, I fancied it“! “Again, the plan was to fish across with sticky maggots and on my 12m line. I started well landing two carp within the first two casts, but it then went quiet on me with just one more small carp gracing the net before the final half of the match when I managed two more. I ended the final day with five (5) fish. I felt like I needed a couple more to stay in contention, but the final throws of the match produced just one more pull, but I was cut off on the rocks”. “I finished the day with 9.170kg, which saw me finish in eight place in my section. The end peg next to me in my section smashed me with 26kg. I felt I needed two more fish to probably win the festival, but it wasn’t to be. Still, I managed to finish inside the top ten again for the second year running beating two local rods and was one of only two Englishmen to finish there so can’t grumble at that“.